« There’s nothing foolish about this 1st of April! Not faux pas – just some faux tearing. Faux tearing was one of the techniques that we covered in my first techique class in Tenterfield. It’s a great tricky thing to do for quick results. 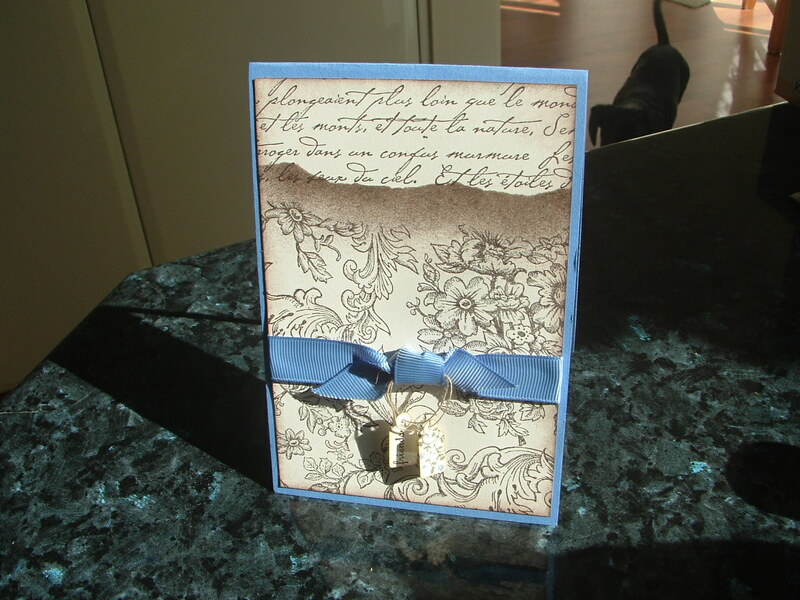 It’s a technique that will be equally at home for card makers as it would for scrappers. I’m delighted to report that my first class was a real hoot and success. A great time was had by all. This class is now full, so if you are wanting to learn this technique or any of the others that we covered we willl need to start another group. 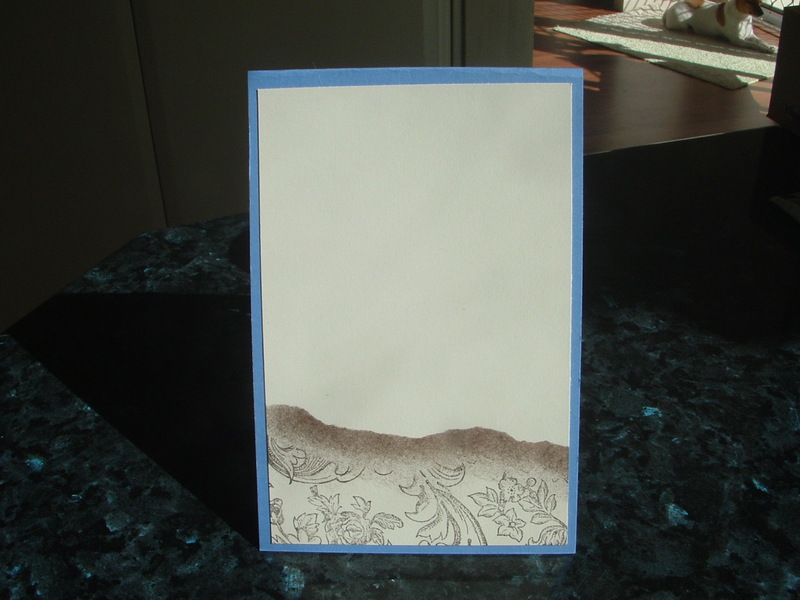 This is the inside of the card showing the technique without the second stamp being used. Both styles equally effective, I think! Thanks for looking. I’m preparing this week for my first stamp-a-stack in the Stanthorpe area. Next Monday I’ll be heading to Applethorpe to wow eight lovely ladies. Be sure to come back to check out what they make.